For NFL wide receivers, the proverbial light really seems to come on as they navigate through their third professional seasons. A combination of experience, familiarity with teammates and scheme, and further-polished skills all help these perimeter playmakers hit their stride. For instance, last season, the likes of Alshon Jeffery, T.Y. Hilton, and Mohamed Sanu stood out among the class of 2012 as they put together impressive stat lines in their third year. Hopkins is on a nice upward trajectory as he enters his third year with the Texans. He posted a 52/802/2 stat line as a rookie in 2013, and followed that up with a 76/1,210/6 line in 2014, despite the fact that Houston's quarterback situation resembled more of a real life game of mediocre musical chairs. With Andre Johnson now a member of the division rival Colts, Hopkins' role and targets will both increase. Brian Hoyer and Ryan Mallett are competing for the starting quarterback job, and the winner will have a good young receiver in Hopkins to look to on the perimeter. The Texans will need to be effective at throwing the ball, particularly early in the year, with bellcow Arian Foster sidelined and expected to miss the first several weeks with a groin injury. Hopkins' increased role will no doubt garner extra attention from opposing defenses, but his skill set - built around his blazing speed - will serve him and Houston well as they attempt to take the next step in year two under coach Bill O'Brien. 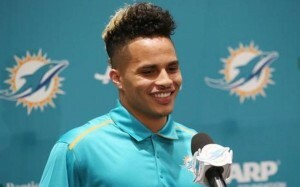 Kenny Stills is a third-year wideout to monitor heading into the 2015 season. In one of the more surprising moves of the 2015 offseason, the New Orleans Saints traded Stills to Miami for LB Dannell Ellerbe and a 3rd round draft pick. Stills had made a nice leap from year one to year two in New Orleans under the guidance of Sean Payton and Drew Brees. Having spent his rookie year operating mostly as a deep threat, Stills upped his production from a 32/641/5 line in 2013 to 63/931/3 in 2014. 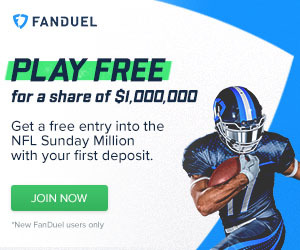 He enters a situation in Miami that could see him operate as the team's number one receiver after they traded Mike Wallace to the Vikings during the offseason. Second-year ace Jarvis Landry figures to continue to thrive in more of an inside role, which will leave Stills to absorb most of the downfield targets. Quarterback Ryan Tannehill's development will be a huge key not only to Stills' 2015 season, but Miami's potential success as well. Tannehill's deep ball is continuing to develop, and a target like Stills who is willing to do the things that the disgruntled Wallace would not will only help the Dolphins' signal-caller's confidence in that area. Stills mostly ran "go" routes as a rookie with the Saints, but New Orleans was able to expand his route-running to the point that the "hitch" was his most-run pattern in 2014. If he continues to put in the work and stays healthy, Stills could be a steal for both the Dolphins and fantasy owners this year. We bought into the Williams hype a year ago, hoping he would thrive opposite Dez Bryant in Dallas. His receiving numbers took a bit of a hit as he went from a 44/736/5 line in 2013 to a 37/621/8 line last year. His touchdowns went up, but Williams won't ever be confused as a red-zone threat. His playmaking ability as a vertical threat, however, is unquestioned, as is his ability to score in bunches as he showed with a pair of two-touchdown performances against the Saints and Colts last year (his two catches against Indy both went for scores). Williams enters year three in the same system with the same nucleus of talent around him. Dez Bryant will continue to be the go-to man, with Jason Witten back for another year to bail Tony Romo out of precarious situations between the hashes. Cole Beasley has developed into an effective slot man, leaving Williams to continue to hold down the role of defensive lid-popper on the outside. It's always tough to bank on touchdown-dependent players like Williams, but he could make for a late-round value pick, hoping to make the most of the extra work he got across the offense this spring while Bryant skipped workouts in the midst of a contract dispute. We have been waiting, as have most, for Austin to make his mark as a pro. He has flashed his abilities on multiple occasions with the Rams, but consistency has eluded him. His numbers took a dip last season, going from a 40/418/4 line in 2013 down to 31/242/0 last season. He has gained extra work alongside Kenny Britt in the team's offseason program as Brian Quick continues to recover from shoulder surgery, although Quick's impending return may bump him back down to his role as a glorified gadget player. However, the acquisition of Nick Foles, who has experience playing with similarly-built talents such as DeSean Jackson, Jeremy Maclin and Darren Sproles from their Philadelphia days, could be the missing ingredient for Austin as he looks to establish himself as more than just a gadget man. The Rams' quarterback position has been a mess through Austin's fledgling career as Sam Bradford missed most of the last two seasons with knee injuries. The team hopes that their acquisition of Foles will bring much-needed stability to that position. Austin has earned the praise of his coaching staff, showing the maturity and work ethic that seemed to be missing from his first two years in the league. If Foles can stay healthy, Austin could be another receiver to turn heads in his third year. He is a player who was grossly overdrafted based on pure hype as a rookie. This season, however, Austin should be available as a sneaky, upside-dripping flyer pick toward the back-end of drafts in his third year. 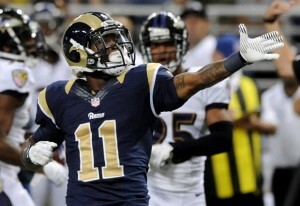 Will 2015 be the year that Tavon Austin puts it all together in St. Louis? Allen was the surprise of the class of 2013, putting together a 71/1,046/8 stat line as a rookie and helping the Chargers reach the playoffs. Injuries and a slack work ethic both contributed to a dip in production last season, as he recorded a 77/783/4 line. Allen has rediscovered his discipline and has placed a greater emphasis on taking care of his body as he enters his third year with the Bolts. Philip Rivers' contract situation has been sorted out, and the Chargers will surely look to their passing game more in 2015 with Ryan Mathews now in Philly. Rookie Melvin Gordon, Danny Woodhead, Branden Oliver, and Donald Brown form a nice backfield group, but Rivers will need Allen and Antonio Gates to produce to help keep defenses off balance. Adding to his value, the Chargers are reportedly planning on increasing his workload from the slot, with Stevie Johnson and Malcom Floyd able to work on the outside. Allen may have been overdrafted last year, based on his impressive rookie production. This year, however, the pieces are in place for him to trend back toward - and perhaps, surpass - his 2013 production.